Experience Cape Cod's beauty and nature from the water. Join us for an adventure on Nantucket Sound as we explore the waters around Harwich and Chatham. Take in the sights around Stage Harbor and Monomoy Island, one of the most spectular natural refuges and important ecosystems in the USA. 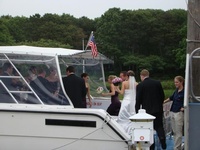 Our comfortable 43 foot catamaran, The Perserverance, features open and covered seating areas. 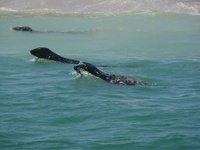 Our trained naturalist will help spot and identify a myriad of birds, seals and other wildlife. View three of the Cape's most popular lighthouses. Bring your camera and binoculars! Great adventure for the family! 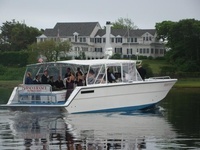 Perfect for family reunions, birthday celebrations, weddings and charters. Call for reservations and pick up your tickets at our ticket office, conveniently located across from Brax restaurant. The Perserverence is moored a one minute away at Saquatucket Harbor. Check out more information, posted under Documents (at right) and plan to join us for a very special Cape Cod memory.